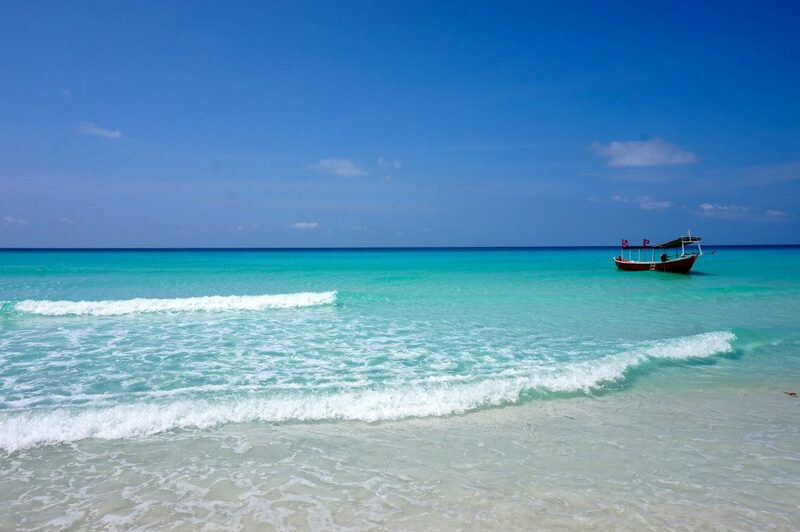 Whether by plane, boat or overnight bus, loose yourself in Sihanoukville, Cambodia. 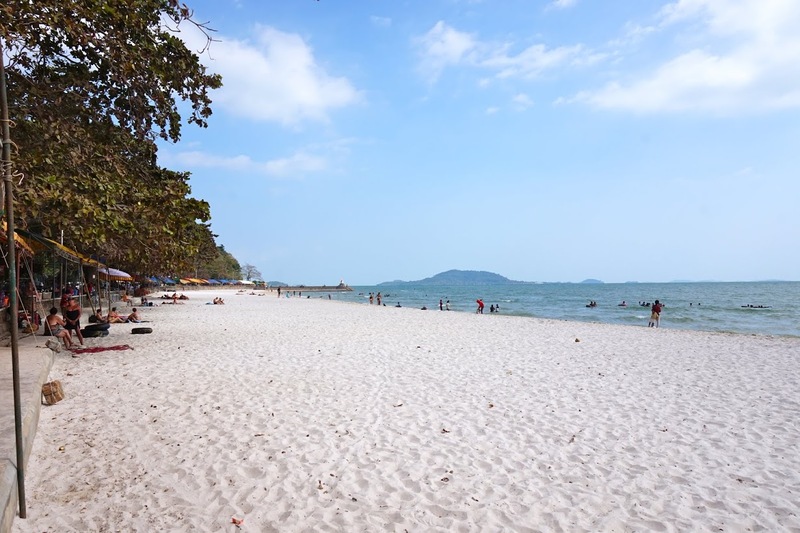 Named in honor of the then prince of Cambodia, Sihanoukville was hacked out of the Cambodian jungle with hopes of creating Cambodia’s first and only port. Nowadays, virtually all of Cambodia’s trade passes through the Port of Sihanoukville and is then trucked to the capital city of Phnom Penh and to Cambodia’s most popular tourist destination, Siem Reap. After three days playing tomb raider across Siem Reap and remedying my situation via the $.50 beers of Siem Reap’s Pub Street, I needed water – badly. Plus, the dusty days of exploring the Temples of Angkor, Bayon and Ta Prohm had me blissfully dreaming of the coast. Seattle has 21 sister cities spanning the globe and Sihanoukville, Cambodia is the 21st. As the most recent and one of the most active, the Seattle-Sihaounkville sister city relationship is focused on increasing cultural awareness and understanding, promoting trade and tourism and establishing educational exchange programs. 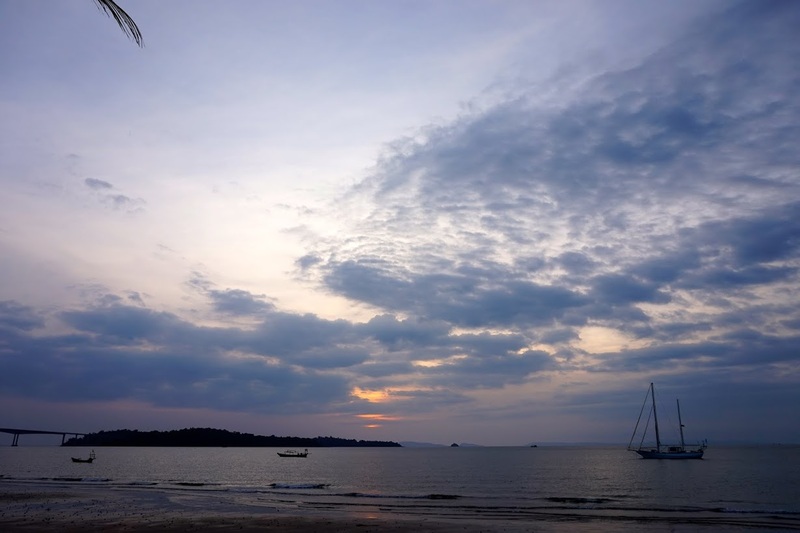 I arrived in Sihanoukville after a restful – yes, restful – overnight bus ride from Siem Reap. The overnight bus came complete with memory foam bunk beds, clean blankets and tasty snacks. Upon being greeted by my host, I unpacked and set out to explore. Distances between the beaches are a little too long to walk comfortably but getting around is easy, as the roads are wide and tuk-tuks are everywhere. At this point in my travels, I’ve since mastered the art of tuk-tuk haggling and was able to travel to center of the city without over-paying or any trouble. I am dropped off at Serendipity Beach in the main part of town. It is packed with hippie backpackers living off pennies, perfecting their dreadlocks and debatably escaping the ‘real world’. Guesthouses and bar-restaurant combos with chipped tin shack roofs and assortments of plastic chairs line the beach. It’s authentic, rustic, slow paced and is a nice break from South East Asia’s overly touristy vibe. Sweaty cocktails, sunburns, Khmer street food and lost-in-translation-conversations rounded out my days spent on Serendipity Beach. 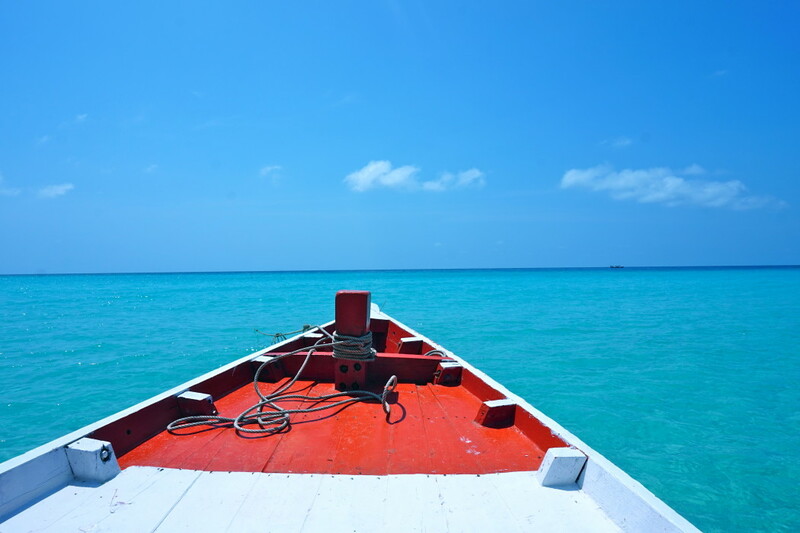 One thing I did manage to comprehend from the locals was that my trip wouldn’t be complete without exploring Cambodia’s largest island – yes, there are islands in Cambodia – Koh Rong. Considered to be what Thailand’s famous Phi Phi islands used to be like prior to development, Koh Rong offers a Robinson Crusoe-style escape to paradise. After about an hour on the water, I spot small palm-thatched beach huts lining the shore. Walking along the beach, I quickly realize there are only a handful of accommodations and restaurants here and with infrequent electricity and squat toilets – it’s as rustic as it can get. After exploring the main cluster of activity, I head inland in search of Long Beach. Thirty minutes and one steep and rocky trail later, I arrive. Appropriately named, Long Beach is the longest beach on the island and is so minimally developed there are only three tree houses for rent and all other amenities, including water and food, are brought in daily by locals as a means to make money and to ensure pale tourists don’t die of thirst, starve or get sunburned. 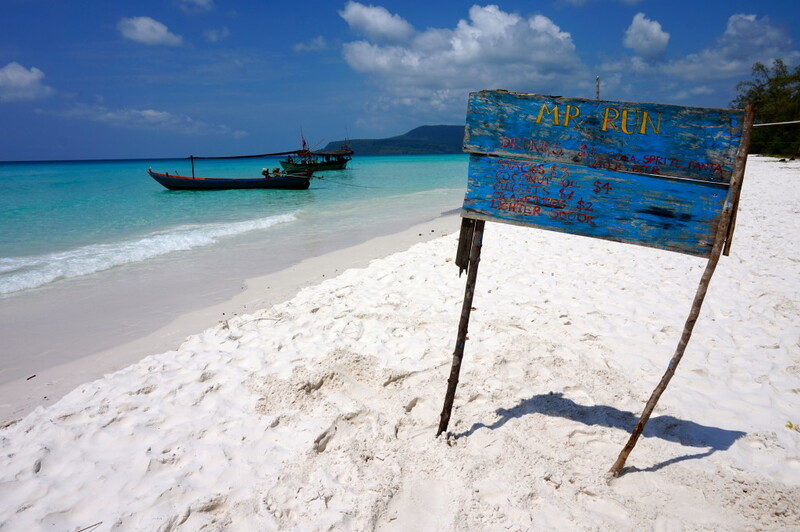 Developers have laid out plans to develop Koh Rong, complete with a paved ring road, scores of resorts and an airport. 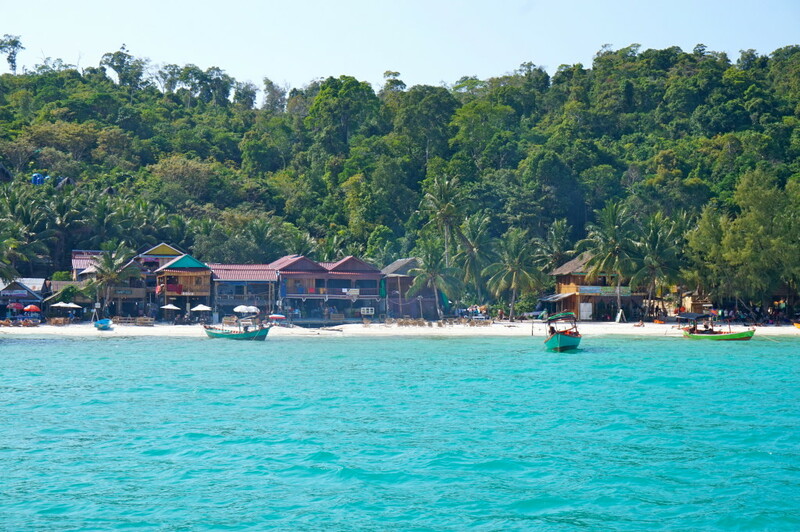 I felt so lucky to see Koh Rong as it is today. In 15 or 20 years, this hidden and undeveloped gem will be a completely different paradise. 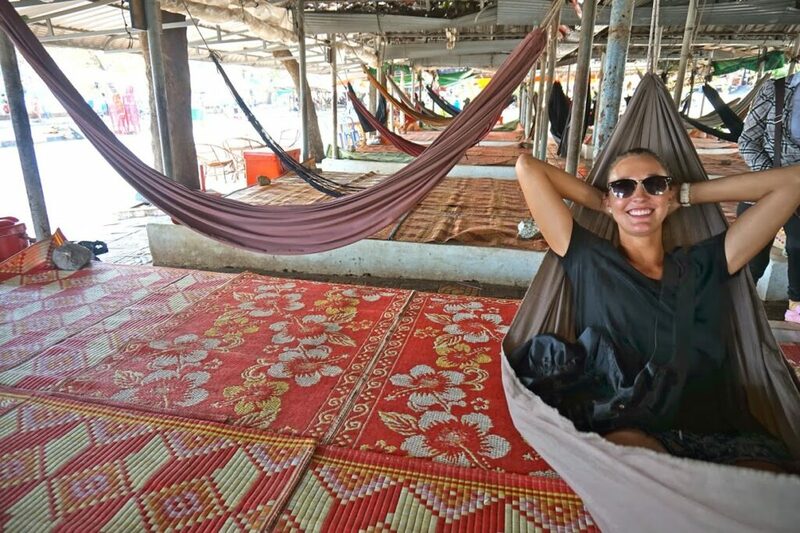 Back in Sihanoukville, I took a five-hour bus ride to Phnom Penh to explore the capital city and a few days later flew to Malaysia as the next destination on my around-the-world trip. Cambodia was a country I never thought I’d explore, the city of Sihanoukville especially. It isn’t Cambodia’s most popular tourist destination but it is worthwhile. For a traveler looking for an off-the-beaten-path experience, it doesn’t get any better than this.